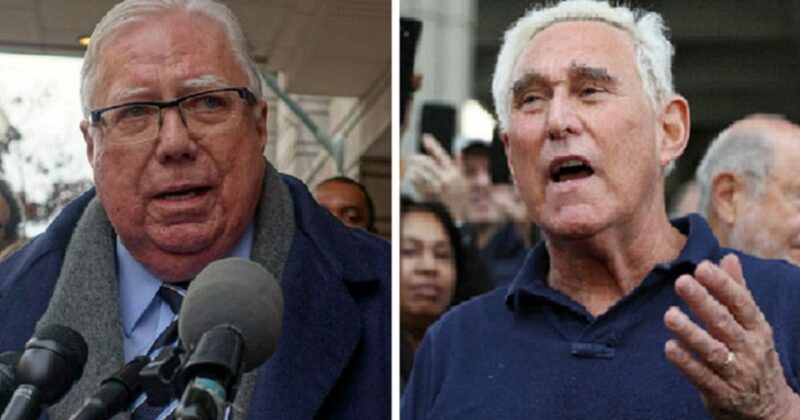 Author and political commentator Jerome Corsi said Sunday that he will be “happy” to testify against Roger Stone if he is called to appear at any trial against the Trump confidant. “I will be happy to testify, if — I would suspect to be subpoenaed,” Corsi said in an interview with CNN’s Jake Tapper. Stone was indicted on five charges of lying to Congress about his conversations about WikiLeaks. He was also indicted on one count of witness tampering and obstruction of the House Intelligence Committee’s investigation into Russian meddling in the 2016 election. The indictment cites several email exchanges between Corsi and Stone in July and August 2016. In emails on July 25, 2016, and July 31, 2016, Stone asked Corsi to get in touch with WikiLeaks founder Julian Assange, who is living under asylum in London. On Aug. 2, 2016, Corsi emailed Stone, saying that he had received word that Assange was planning two email dumps in October. The email referred to Clinton campaign chairman John Podesta, whose emails were published by WikiLeaks on Oct. 7, 2016. Special counsel Robert Mueller has been investigating whether Stone or Corsi had any contact with WikiLeaks or Assange. Both have denied having any such contact, but they have fallen out in recent weeks, since Corsi began speaking publicly about testimony he gave to Mueller’s grand jury. Corsi revealed on Nov. 27 that he rejected a plea offer from the special counsel’s office, which wanted him to plead guilty to making false statements about his three email exchanges with Stone regarding WikiLeaks. The indictment against Stone accuses him of making false statements to the House Intelligence Committee regarding those email exchanges. Stone is also charged with making false statements when he denied speaking with Trump campaign officials about WikiLeaks’ plans to release damaging information on Hillary Clinton. The indictment alleges that Stone told senior Trump campaign officials that WikiLeaks had information on Clinton that it planned to release. The indictment also alleges that an unidentified senior Trump campaign official was instructed to make contact with Stone in order to find out more about what WikiLeaks had. Corsi’s opinion of the special counsel’s investigation has been hard to nail down. He sued Mueller on Dec. 10 for $350 million. He has also accused the special counsel of engaging in “Gestapo” tactics during its investigation.